Orbital ATK and SpaceX won Pentagon contracts worth a combined value of up to $241 million Wednesday in public-private partnerships crafted to hasten the U.S. military’s move away from Russian-supplied propulsion to deliver national security satellites to orbit. The agreements announced Wednesday are the most valuable contracts to date in the Air Force’s initiative to seed development of new rocket propulsion systems designed to eventually replace the Russian RD-180 engine on United Launch Alliance’s Atlas 5 rocket, which hauls most of the military’s large satellites to space. 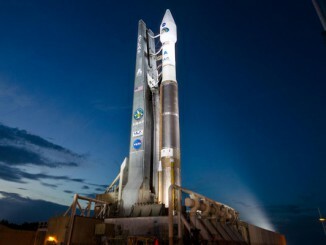 The Air Force awarded Orbital ATK at least $46.9 million for work on the Common Booster Segment, a powerful solid-fueled core motor, and new strap-on solid rocket boosters selected by ULA to fly on its next-generation Vulcan rocket, the Atlas 5’s eventual replacement. Orbital ATK’s contract also covers development of an extendable nozzle for the BE-3U upper stage engine, a hydrogen-fueled powerplant designed and manufactured by Blue Origin, Jeff Bezos’ space transportation company. In the Pentagon’s daily digest of contract awards, the announcement said the rocket propulsion systems are to be used in an unspecified next-generation Orbital ATK launch vehicle. The agreements are structured in a cost-sharing scheme, with Orbital ATK pledging $31.1 million to go with the Air Force’s investment. Orbital ATK’s contract with the Air Force has a maximum value of $180.2 million, and the company’s own funding of the propulsion work could go as high as $124.8 million, assuming all contract options are exercised, according to the Defense Department. 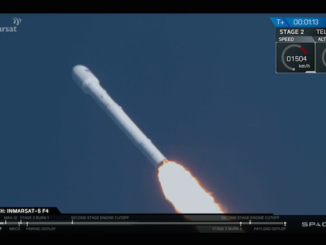 SpaceX won at least $33.6 million for the company’s methane-fueled Raptor engine, which will become the highest-thrust powerplant in SpaceX’s inventory, beating out the power generated by the Falcon 9 rocket’s Merlin engine. 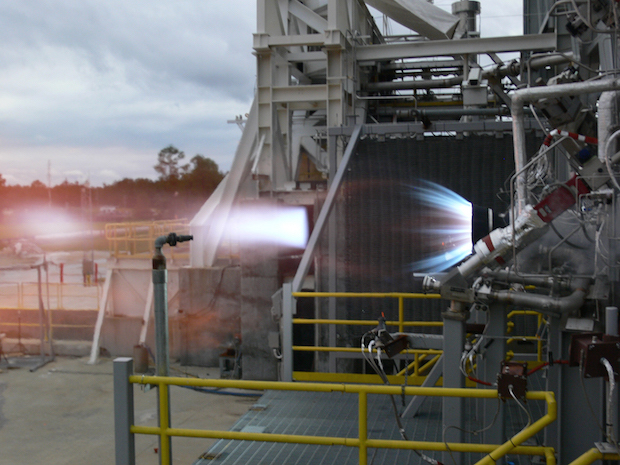 Engineers are testing components of the staged combustion Raptor engine at NASA’s Stennis Space Center in Mississippi. SpaceX aims to put the Raptor engine on a future humongous commercial rocket to haul heavy payloads, and eventually astronauts, to Mars. 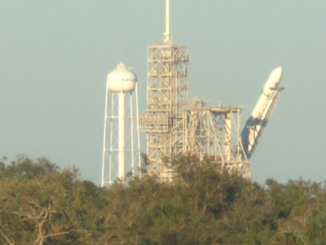 The Air Force said the engine contract will go toward development of a prototype of the Raptor engine for the upper stages of SpaceX’s Falcon 9 and Falcon Heavy rockets. SpaceX’s share of the initial investment is $67.3 million to go with the Air Force’s award, according to the contract announcement on the Defense Department’s website. Including contract options, the Air Force could give SpaceX up to $61.3 million, with the company supplying up to $122.7 million of its own funds. Orbital ATK’s agreement runs through the end of 2019, while SpaceX’s expires at the end of 2018. The Air Force said in a press release that it is still in negotiations with other companies, and more propulsion contract awards could be announced in the next few months. Under the structure of the procurement, the Air Force said industry could propose full development of a new rocket propulsion system, modifications to an existing engine, narrowly-focused projects focused on developing and testing high-risk engine components, or testing and qualification of an engine for national security launches. The Air Force said it required at least one-third of the cost of each propulsion project to be paid by the companies.